Andres could truly be called a global creative. In his recent role as Creative Director in Proximity Russia and BBDO Moscow he developed and enhanced Proximity's digital position on the market as well as taken part in projects with BBDO Russia Group festival initiatives helping them win their first Cannes Lion. His list of clients included: In-­-touch/RSA, Philip Morris, P&G, Bacardi Group, MARS, DHL, WWF, MARS and Luerzers Archive. The 2011 Russian mayor festival awards (with official AKAR rating) placed BBDO RUSSIA for the first time in Number 1 position as most awarded agency in Russia in the advertising category. Andres has won dozens of other awards in his career history, including: One Show, Eurobest, New York Festival, EPICA, Dubai Lynx, among many others. 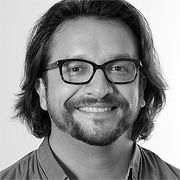 Andres’ career developed in various award-winning agencies around the world, including: BBDO Dubai, TONIC Dubai, Publicis Stockholm, SCPF Barcelona, Ruiz Nicoli Madrid, DDB&Co Istanbul and Leo Burnett Chicago. He has worked as an Art Director, Creative Director, and Strategist. He has worked with numerous clients, some being: KRAFT, Coca Cola, Nawras Telecom, Audi, CNN, SONY, Finansbank, Koenigsegg, Dank furniture, & Multi Turk Mall.